5 Comments | Scroll down or click here to add your own comment! Excellent description of Wollmeise. 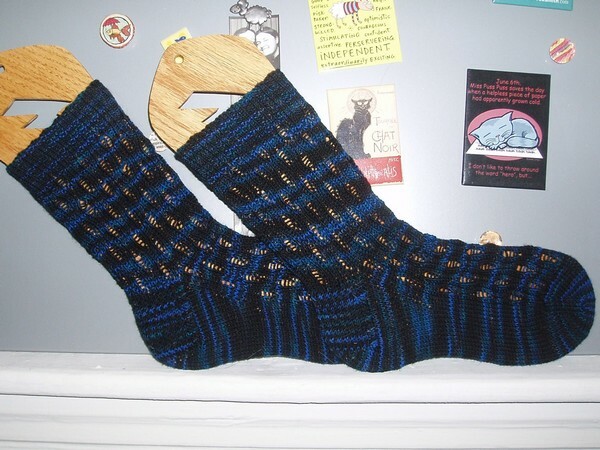 They wear really well and don’t have a tendancy to streatch out like a lot of other socks that I have made. 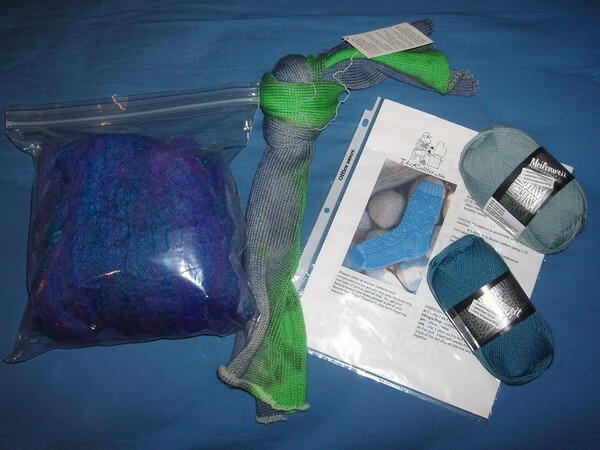 And, Claudia’s dyeing is wonderful! Your socks turned out great, BTW. I also did a regular sleep time on Thursday night, but pulled an all nighter on Friday. I needn’t have bothered, but I wanted to see if I could still do it. We’ll have to see what happens next round. Good luck! I love the colors on that yarn! I hadn’t seen that pattern before; I of course love the name! Woah, back up for a minute. Did I correctly read that you finished that pair of socks in two days? Holy crap, woman! And they’re beautiful!